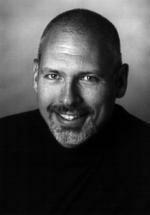 Steve Dancz is an award-winning composer, the recepient of 2 Silver Telly Awards and a Hollywood Music in Media Award for “Best Score – Special Feature”, for his 6 1/2 minute custom orchestral score which aired on FOX Sports Super Bowl XLV to a worldwide audience of 182 million viewers. He has composed and conducted orchestral scores for television (“Designing Women”) and motion pictures (“Grim Prairie Tales”). He has composed and produced numerous original scores for National Geographic Films, many of which have aired internationally as part of the National Geographic Explorer television series. He has performed around the world and is a recipient of the National Endowment for the Arts grant. He has performed and/or recorded with The Chieftains, Eddie Harris, Kevin Mahogany, Joe Lovano, Bill Cosby, Dizzy Gillespie, Clint Holmes, Don Menza, Allen Vizutti, Willie Thomas, Rich Matteson, Gus Mancusco, Martin Taylor, John Pattitucci, Paulino de Costa, and Clark Terry. Dancz currently directs the Jazz Studies Program at the University of Georgia.